These muffins are incredibly yummy! I was excited for how quickly they came together, because who doesn’t love a dessert recipe made in blender?! (Only one thing to clean!) I kept these in the fridge for a nice treat to have when my kids went to bed, and looked forward to it each night! These are not bread like, similar to traditional muffins. These have a similar consistency to actual pumpkin pie! 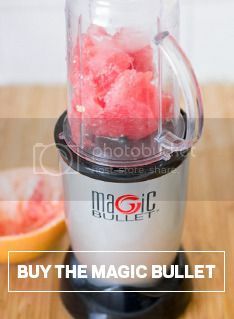 Add all the ingredients into the Magic Bullet Blender. Blend until creamy. Preheat the oven to 375. Add muffin liners to a muffin pan. Pour batter 3/4 of the way full. Bake for 25 minutes, or until the tops of the muffin bounce back. Once done, let cool completely. The middles will fall a little. Once cooled, refrigerate covered. When you are ready to serve, add a little whip cream on top. Enjoy!